Hi I’m Davide,born in Verona. I come from the food service field,and since I was young I always wanted to experience and professionally develop. Throughout the years my passion for coffee bar refreshment has exploded,to the point I started wishing to convey my own passion to other people. That brings me,after many years of experience,to make the choice to commit to Advicing and Training in the world of coffee. From about 4 years I’m committed to Training in Italy as well as abroad (Asia,Middle East,North Europe,just some of the areas in which i worked). 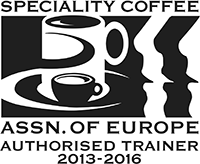 ۳ years ago I became a SCAE Official Trainer for the Modules pertaining Barista Skills and Brewing,furthermore I’m a SCAE National Educator Coordinator and I actively take part in each event we organize in Italy and worldwide. I’m waiting for you behind the counter for whatever are your requirements: Training,Counselling,Challenge Judgement. Through my school Coffee Training Academy I aim to spread the culture of great coffee and the techniques to extract the best out of each and every single grain,transmitting passion and interest in the student,allowing him to become a REAL professional and a quality enthusiast. The Training Academy consists of two different aspects,one consisting in itinerant experiences in roasting estabilishment and/or bar-coffee shops,the other being made up of scholastic training in Milano,Treviso,Padova,Modena. Through the firm branch “From Bean To Cup” I also dedicate myself to professional counselling for companies working in the coffee market such as roasting estabilishments as well as for the development of new startups in the coffee industry,to help them emerging with quality and professionalism. Last but not least the training of specialist coffee shop barista for Italian and international competitions. Through this portal you can contact me to have professional counselling for your activity belonging to the coffee sector in all its complexity,from the green to the admixture,From Bean To Cup. Together we will face all the essential aspects that need to be examined and maximize the outcomes for your business. I took part in five Barista’s Italian Championship (WBC circuit) achieving important results. 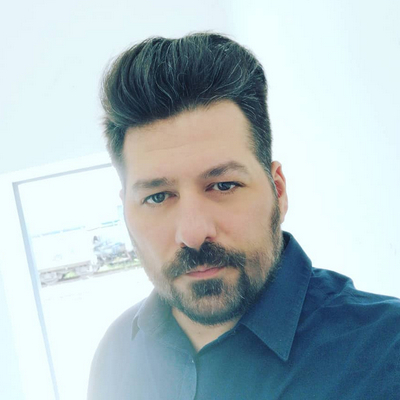 I recently became National Judge for Baristi,Latte Art and Brewers Cup,moreover I hold office as a judge in some of the most prestigious National Finals of other foreign countries (Slovakia,Greece,etc) belonging to the WBC and Latte Art circuit. From February 2016 I’ve become a Certified International Judge for World Coffee Events ,in the World Barista Championship. Part of my job is to counsel and train the Competitors willing to aim high in the rankings,in 2015 Alessio Vabres has achieved the 5th place overall at the Italian National Finals as Veronika Galova reached the 3rd place at Slovakian National Finals under my guidance. Do you want to be the next one aiming high?